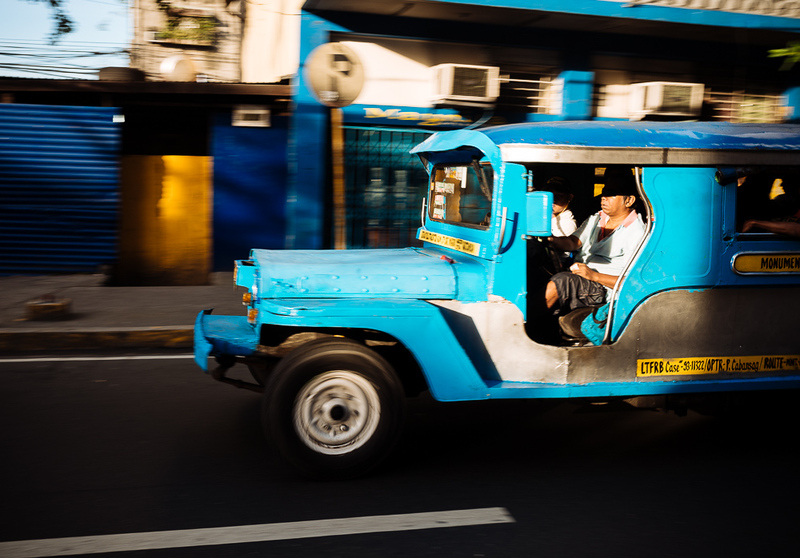 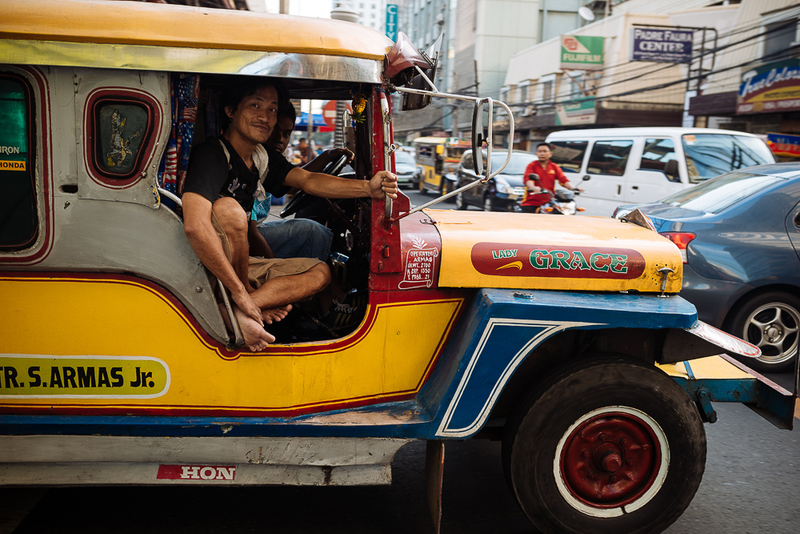 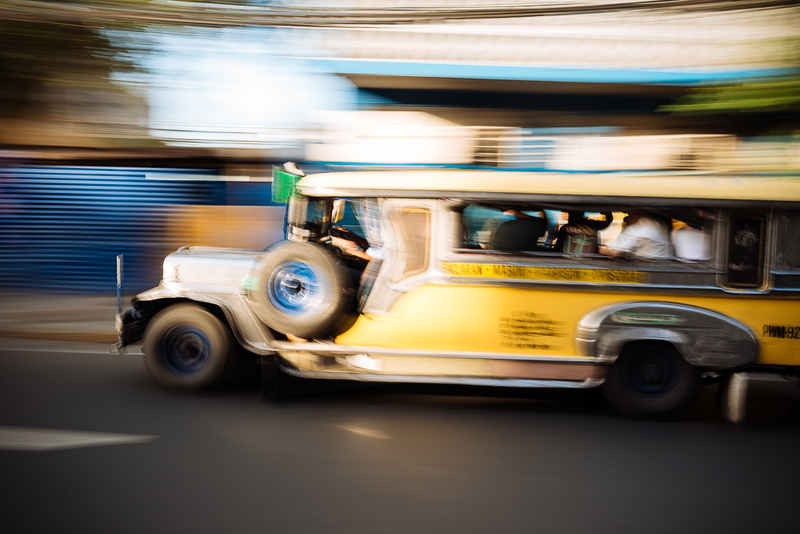 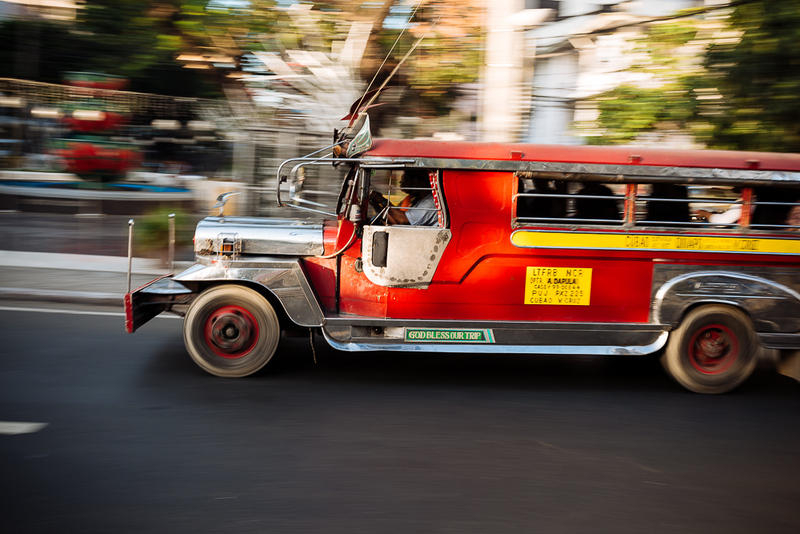 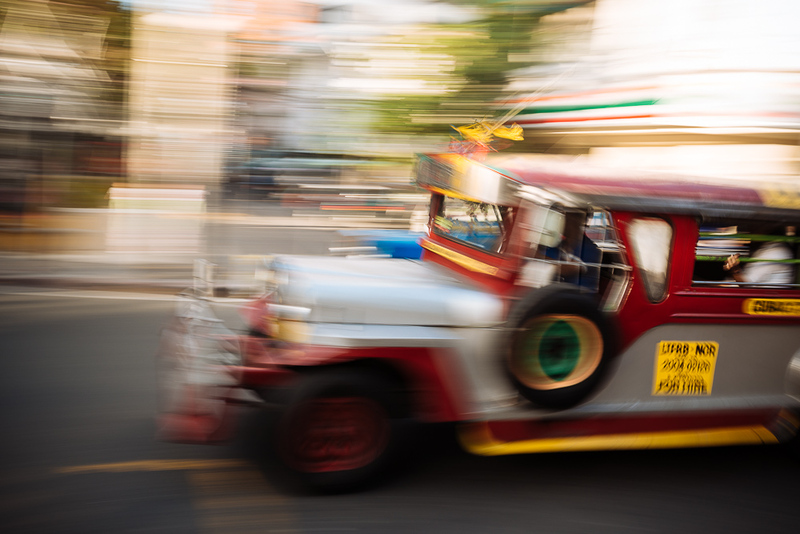 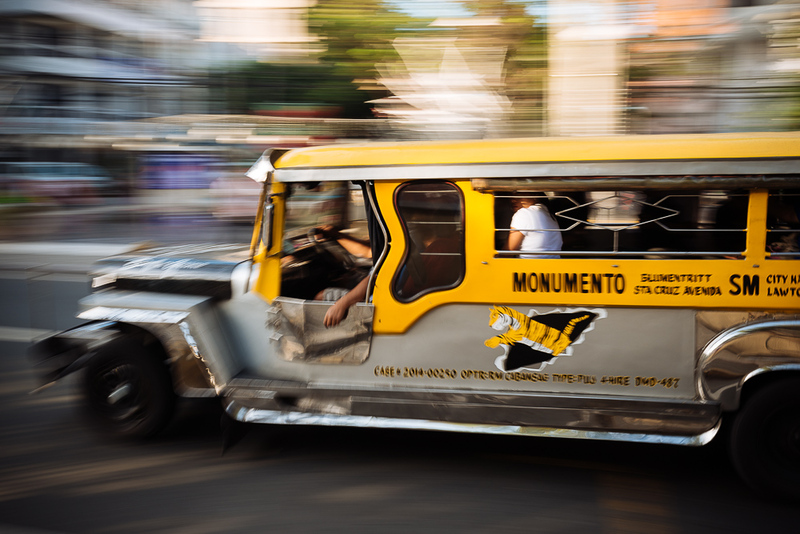 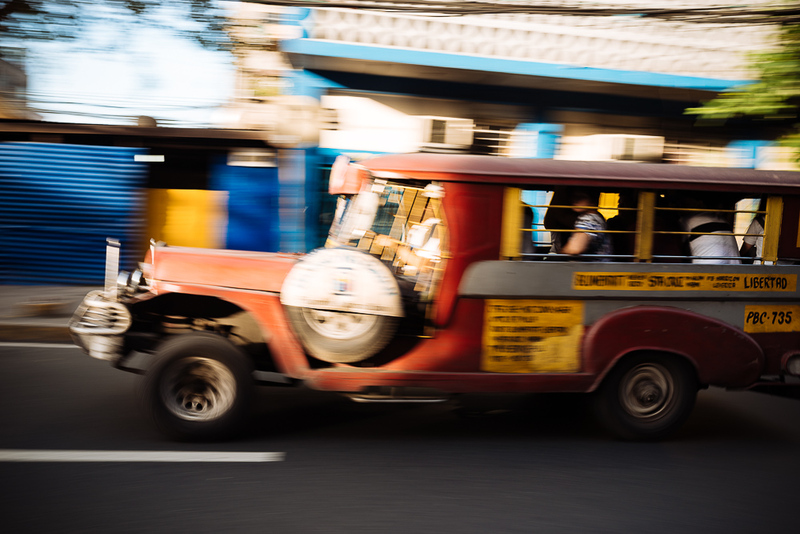 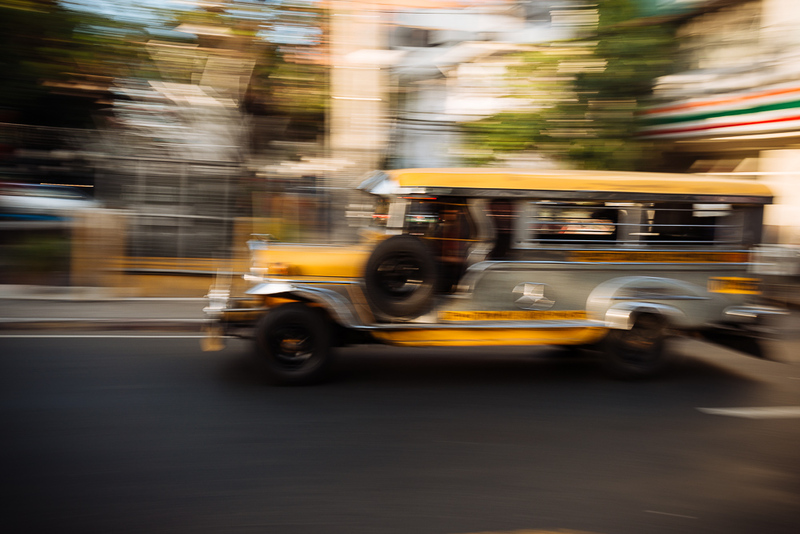 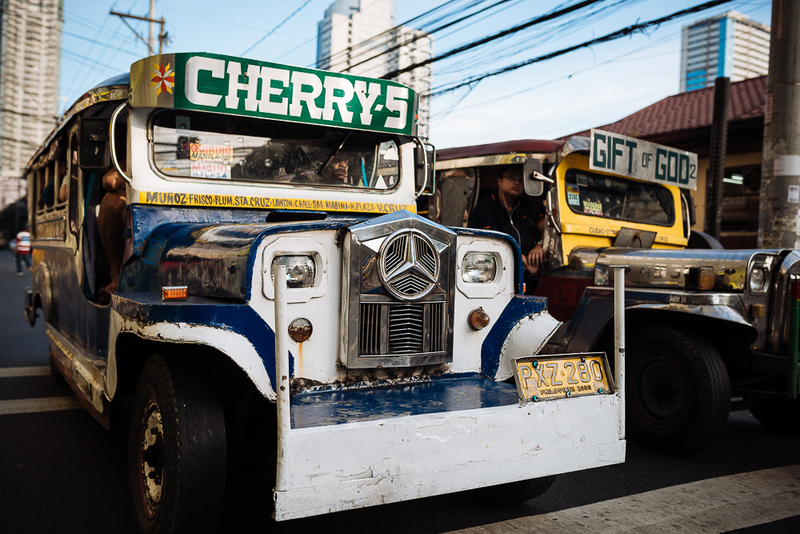 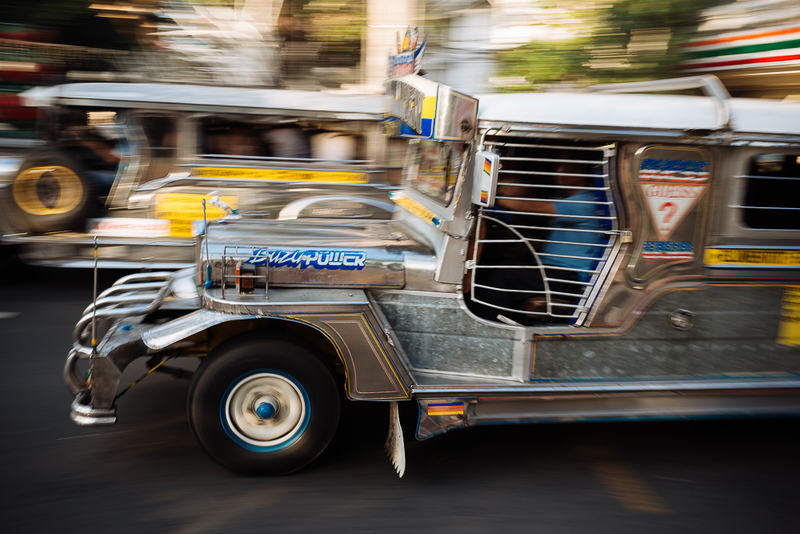 Jeepneys were originally made from U.S. military jeeps left over from World War II. 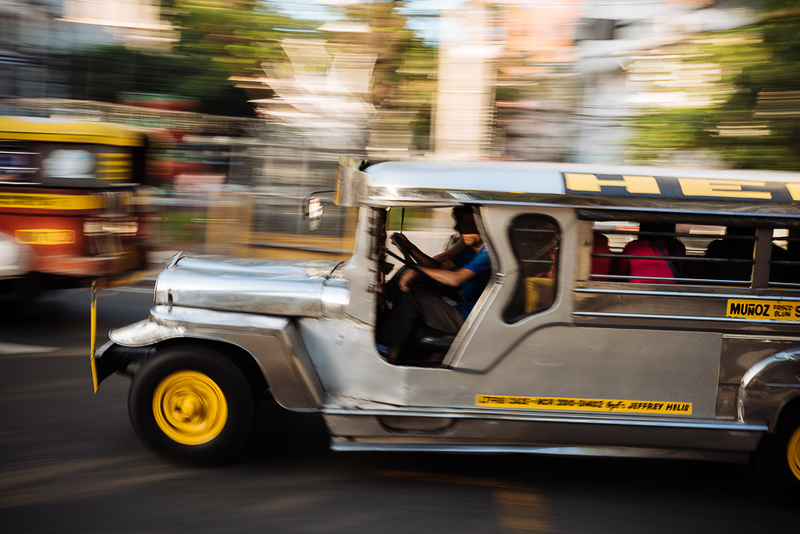 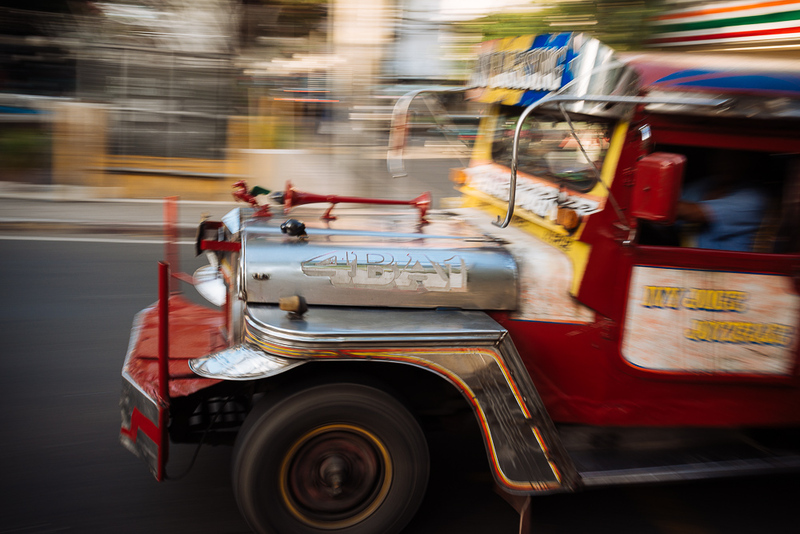 The word jeepney is a portmanteau word – some sources consider it a combination of “jeep” and “jitney“, while other sources say “jeep” and “knee”, because the passengers sit in very close proximity to each other. 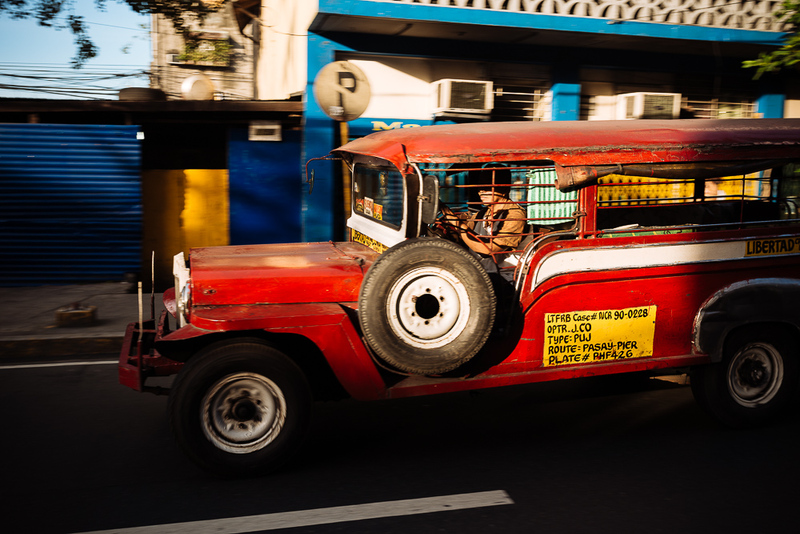 While most jeepneys are used as public utility vehicles, those used as personal vehicles have their rear doors attached with “For family use” or “Private” sign painted on them to alert commuters. 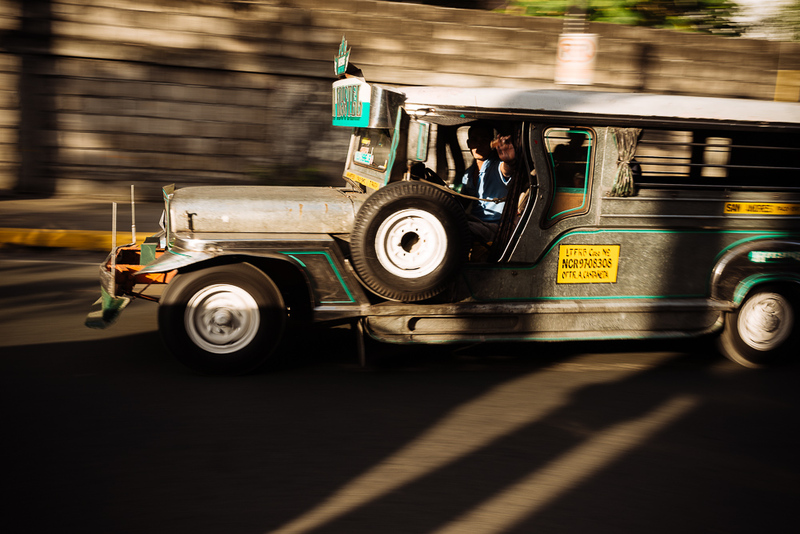 Exceptions to this are jeepneys traversing expressways, where rear doors are mandatory, and at times, mechanically rigged to be controlled from the driver side. 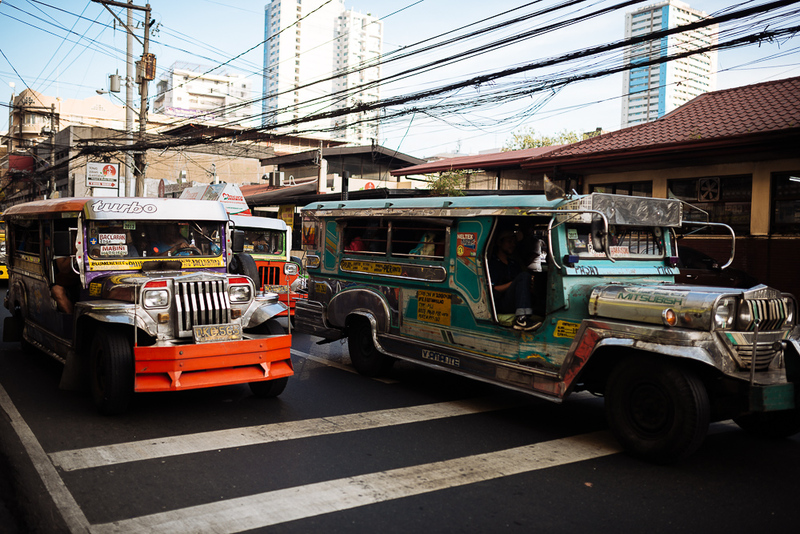 Jeepneys are used less often for commercial or institutional use.